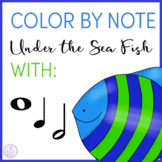 Color by note coloring pages featuring Under the Sea: fish! Notes include quarter, half, and whole notes. 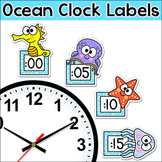 Great for sub plans, extra time at the end of class, or a bulletin board! 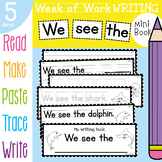 Includes pre-made PDF for print & go seen in the preview and editable PowerPoint so you can write your own wording. 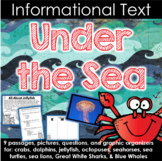 Under the Sea: Ocean Themed Math and Literacy Unit! This is a fun center activity sorting long and short vowels. Students read the words on the cards and sort them by long or short vowels. 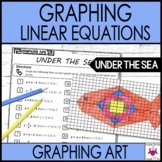 It includes a recording sheet and a worksheet. 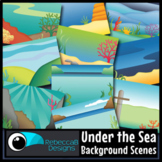 All About Me Under the Sea Printable and Craft - Fun & Great for Wall Displays! 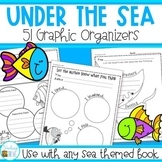 HUGE PACK of under the sea or Ocean themed resources, worksheets.